Trueblade Seeker has finally uploaded a complete moveset breakdown of the latest revealed character, Yuna. As suspected, the Aeon Valefor is in fact tied to her unique EX meter, and can charge up to five stocks. Valefor uses a specific EX skill depending on whether Yuna is on the ground, in midair, taking damage, or holding the EX skill button (neutral). Furthermore, each EX skill takes a specific number of stocks from the EX meter. Yuna's BRV and HP attacks mostly consist of a borrowed skill from one of each Aeon in her respective game, magic spells, and one or two unique to herself. All in all, while lacking in damage output, Yuna is one of the better, more versatile team synergists in the game, if not one of the best. Truly a vast improvement from her 012 incarnation, and well worth the wait from fans. Can't wait to see what the competitive players come up with utilizing her and Valefor. FFXV turns 2 (12) today! Lol happy birthday XV, Please let 16 whenever it happens have a less crazy journey to release, And not have 10 years inbetween it's reveal and release. Lol I saw that, Really strange but It's cool that they're doing stuff like this, I feel the same way about Katy Perry though that I liked her but then she went kinda crazy in the past couple of years. As some (if not most) of you may know, the highly anticipated returning character Yuna will be available tomorrow on Dissidia NT (and depending on what part of the world you're in, you're probably playing her now). 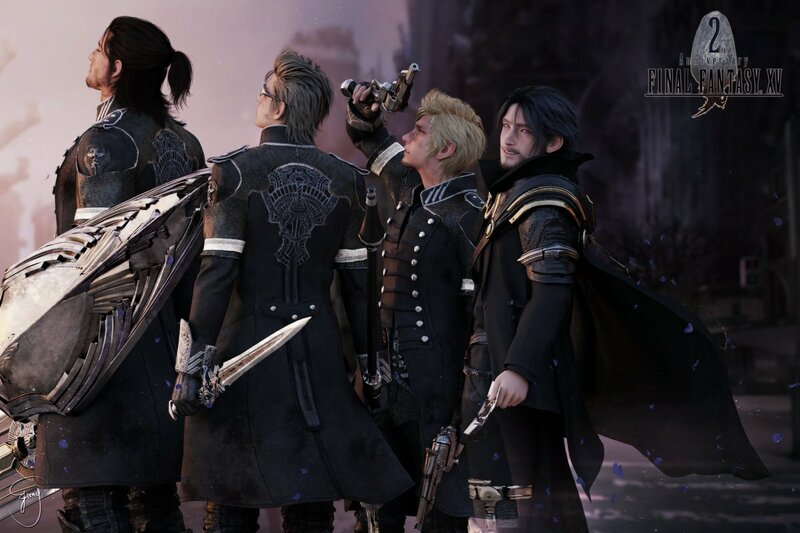 Oh, but the fun doesn't stop there... it just so happens SquareEnix's YT channel dropped their next broadcast date earlier today, and it'll go live on December 18. But what's this? The image on the right of this video cover suggests a tribute to the very first Dissidia, released almost exactly 10 years ago on the PSP? What could it mean? Is there a PS4 remaster of Dissidia 012 with fully integrated online play on the horizon? Could TN finally be acknowledging the outcries of the fans opting for a mode rebalanced for 1v1 in Dissidia NT? Tune in to find out! Oh, and on a less serious side note, I did a little something for fun. Plus there's only 1 HP attack per battle. It’s so nice to see Yuna animated again. Anyway, here’s some cinematic stuff I’ve captured.